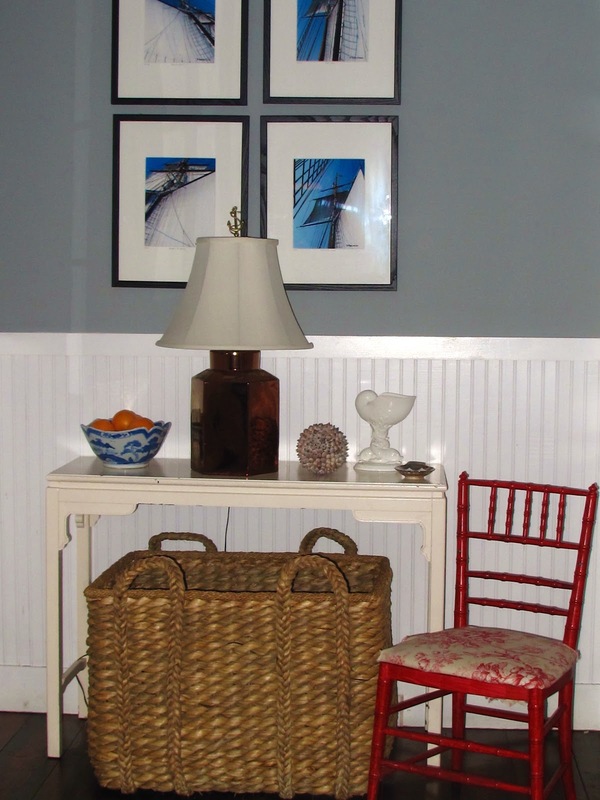 Why do we love wicker in our interiors? a green and yellow basket"
earthy quality to a space whether formal or casual. 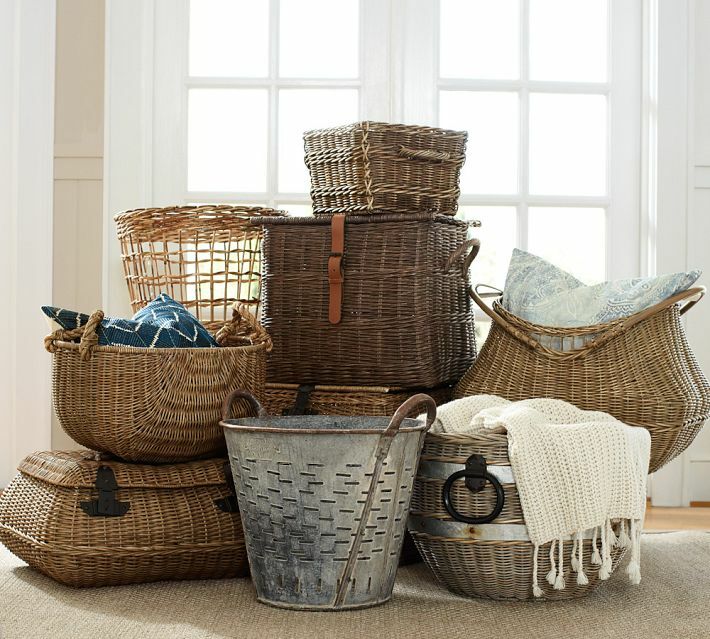 I have been enamored with these precious Nantucket baskets since my early years when our family vacationed on the island of Martha’s Vineyard in Massachusetts. 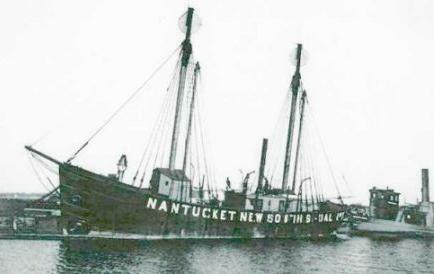 Nantucket and Martha's Vineyard are sister islands just off the coast of Cape Cod. 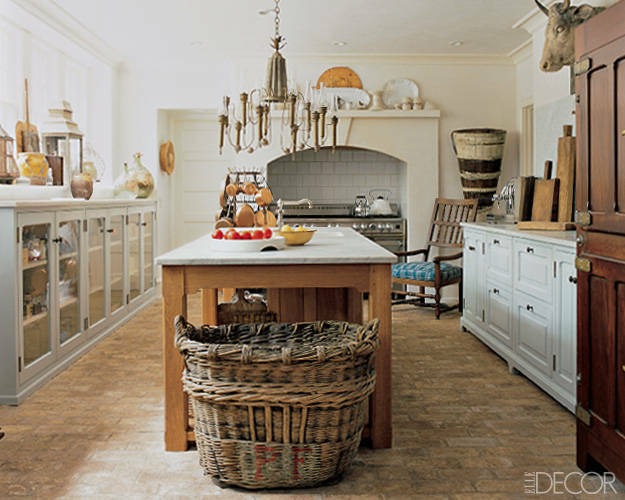 Many residences in New England keep these baskets throughout their interiors as both decoration and functionality. In addition, many proper Boston Brahmin ladies still carry them to market when shopping. 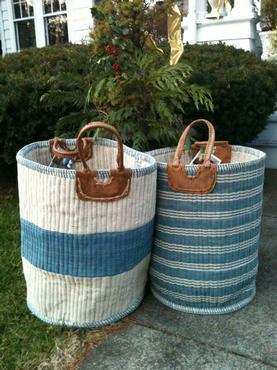 Early settlers learned basket making from native Americans and the tradition continued for years. During the whaling industry’s dwindling days of the later 1800s, ships sailed farther away to the Pacific to hunt for whales, often returning with an exotic material called rattan. The whalers passed the long hours away on the ship by making baskets to earn extra income. 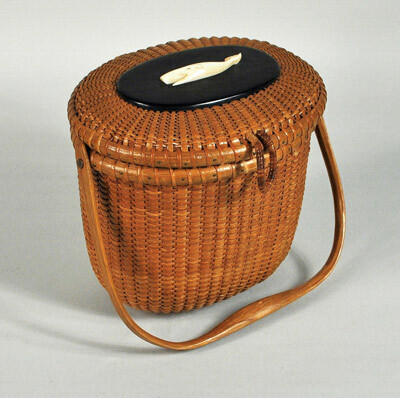 The basket is woven in a mold of rattan (cane) with a wooden bottom. 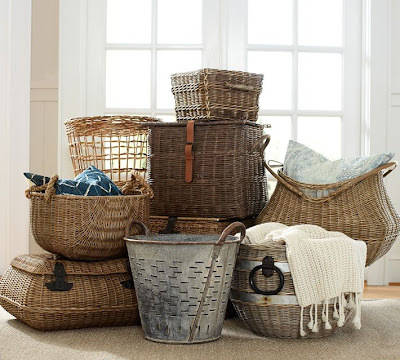 Rattan is a sturdy jungle plant similar to bamboo and became the integral material used to make baskets in Nantucket, and distinguishing them from baskets made in the earlier days. 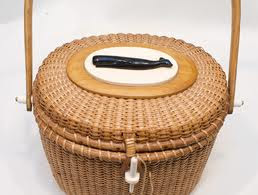 Later, artisans began to craft these beautiful hand baskets out of reed, and with wooden bottoms, hand carved whale bone and mahogany applications. 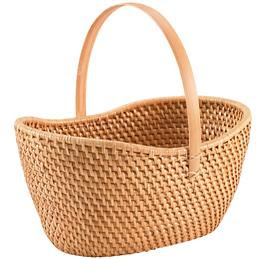 It seems everywhere we travel I pick up some sort of a basket, either small or large, made of wicker or straw. 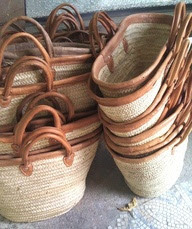 I have found baskets serve many purposes and can be used in the home as a decorative object, or provide function as storage. A few years ago, we bought the basket from Mecox Gardens in East Hampton to keep in our entryway. It offers an attractive, yet practical place to house sandy summer shoes. When I design a home for clients, I often suggest bringing in a touch of wicker or rattan somewhere to round out the interior. Mecox Gardens carries a beautiful basket collection made by a group of women weavers in India to help other impoverished women in the area. 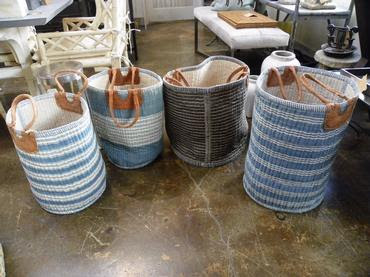 Using handspun dyed woven cotton, banana and mesthea with leather these bags/baskets offer great storage solutions in a stylish package. 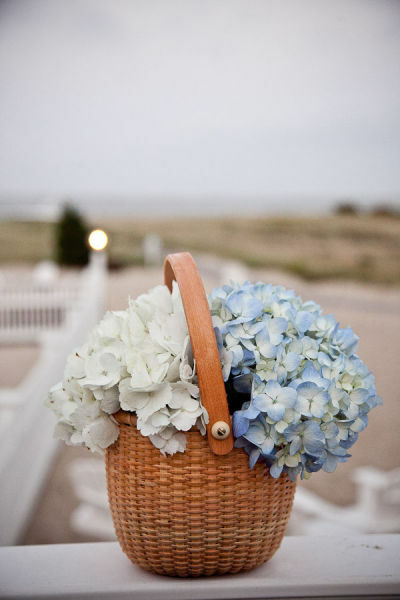 With leather handles they are very sturdy and offered in classic blue and white colors. They are available online or in select shops. 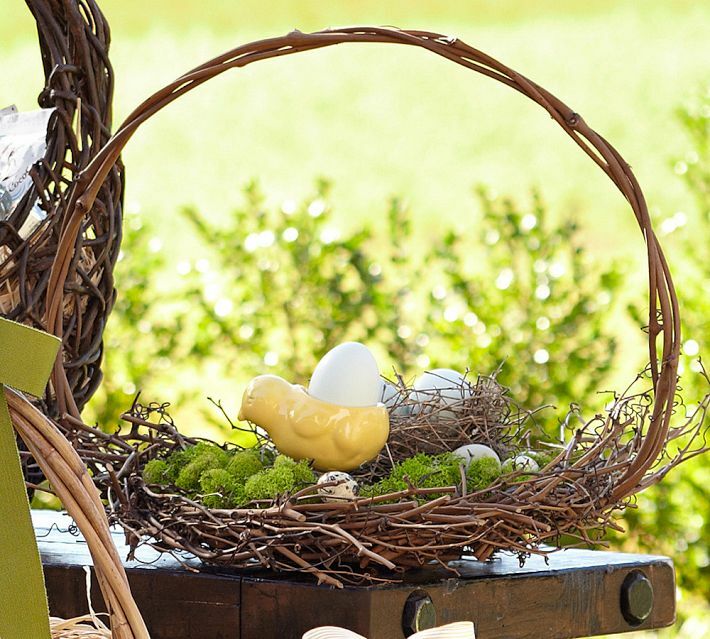 I need to start thinking about our Easter basket gifts. 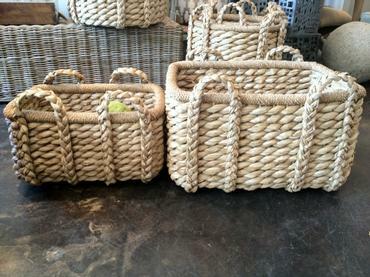 who offers reasonably priced baskets in different finishes. When the holiday is over I can use the baskets as storage in my beach cottage guest bathroom for hand towels and bath products.